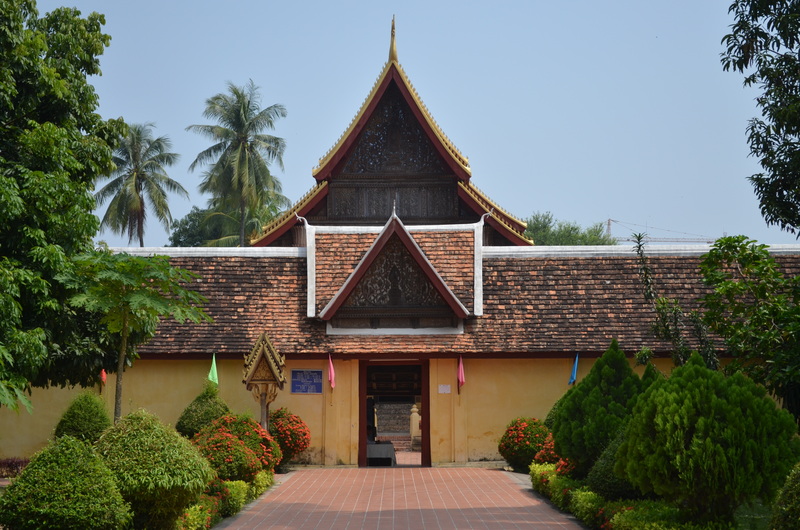 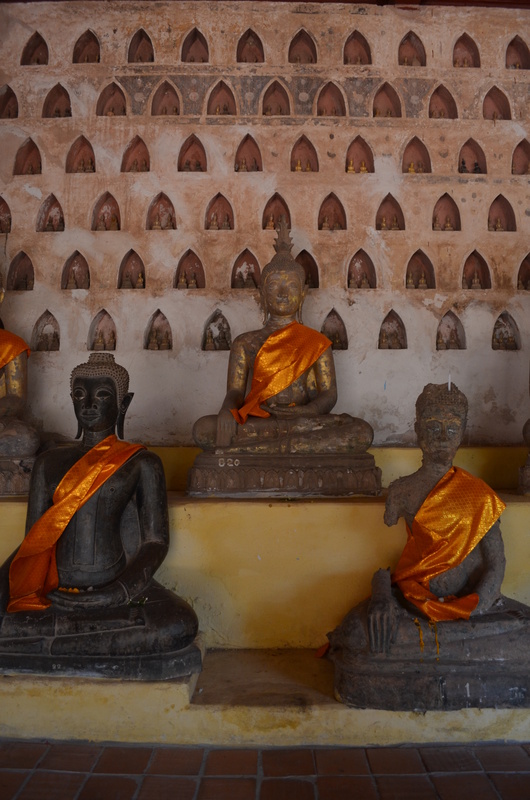 Built in the early 1800s, Wat Sisaket sits just north of the presidential palace in Vientiane, one of the most prominent relics of the long-ago Kingdom of Vientiane and perhaps the only temple in Vientiane to survive the city’s sacking by Siamese armies. 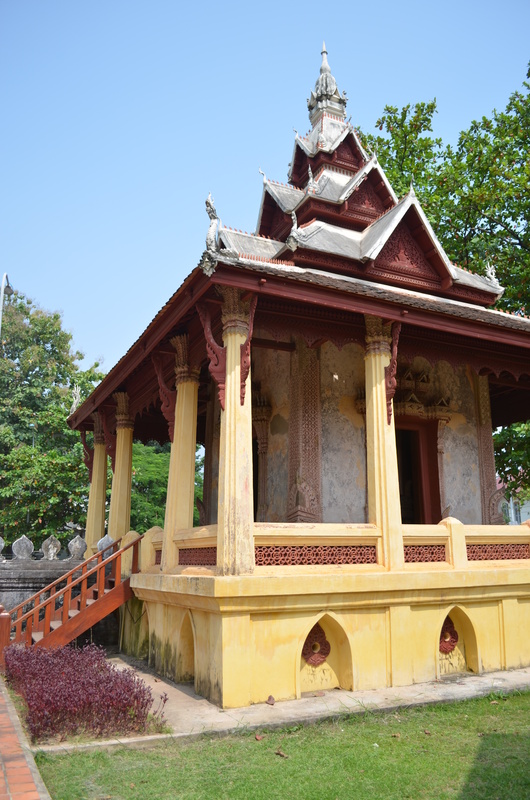 Most of the photos are of the temple grounds surrounding the main building – like the library above and the multitude of Buddha sculptures below – photography of the prayer room which houses the Buddha was discouraged. 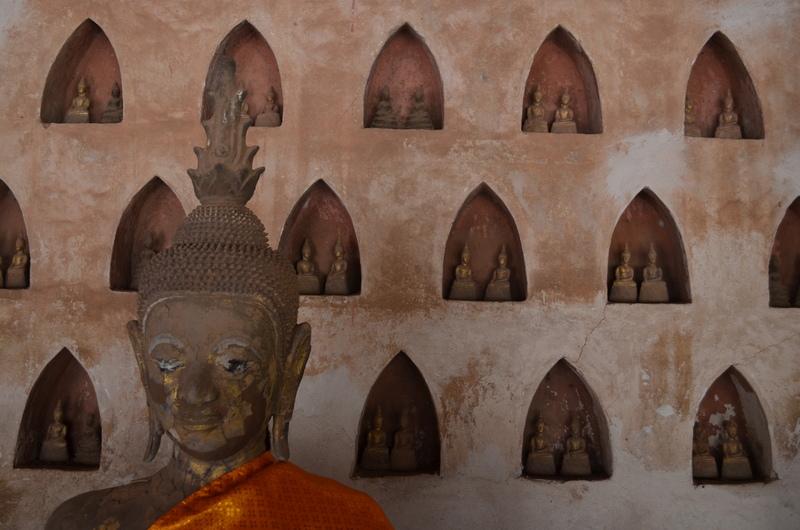 Myra and I both drew fortunes (you blindly choose one numbered stick of bamboo from among a handful, and took a piece of paper with the corresponding number from a small cabinet full of numbered drawers) that we later asked the hotel staff to help us translate. 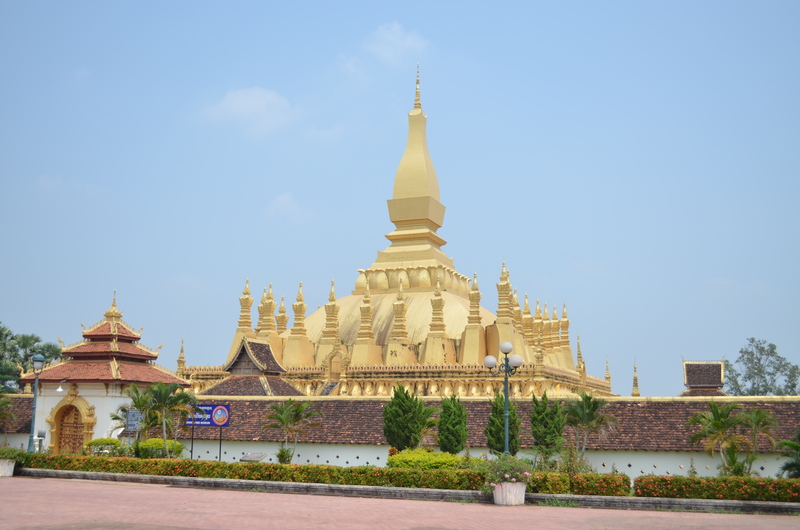 In the afternoon, we took a short tuk-tuk ride to the Golden Stupa (Pha That Luang), Vientiane’s other main Buddhist site. 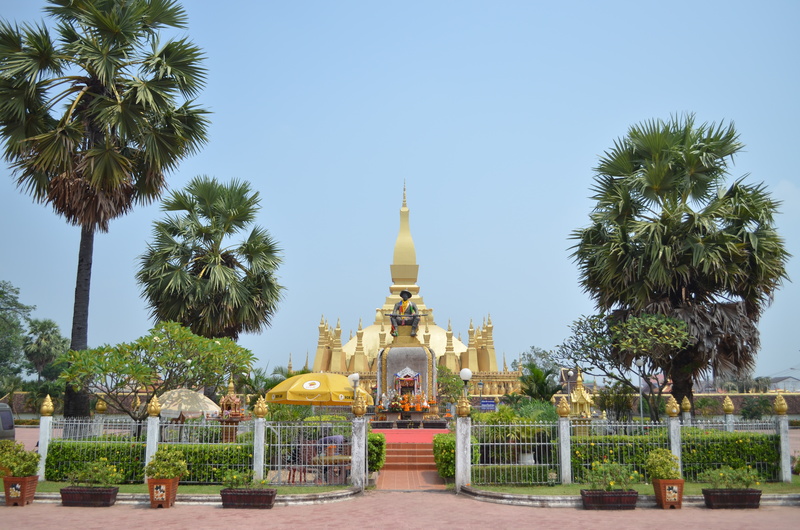 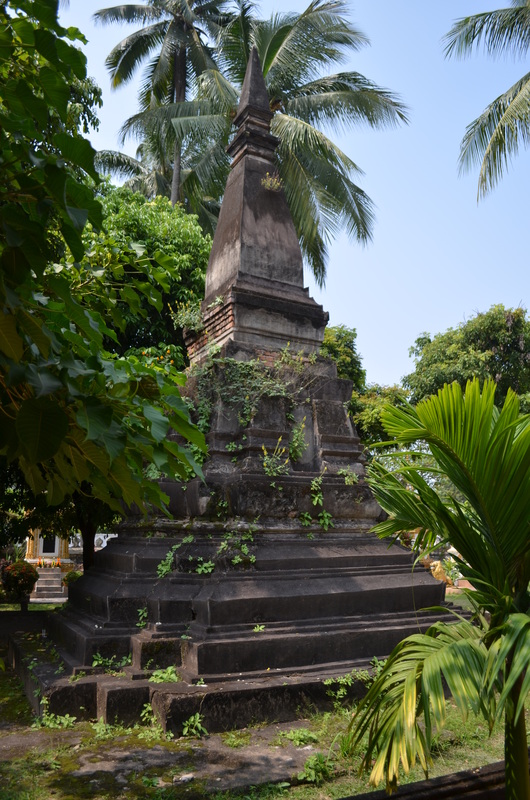 The stupa is fabled to be located on the site of a third-century Indic temple, and whose original construction was ordered by the Lao King who moved the kingdom’s capital from Luang Prabang to Vientiane. 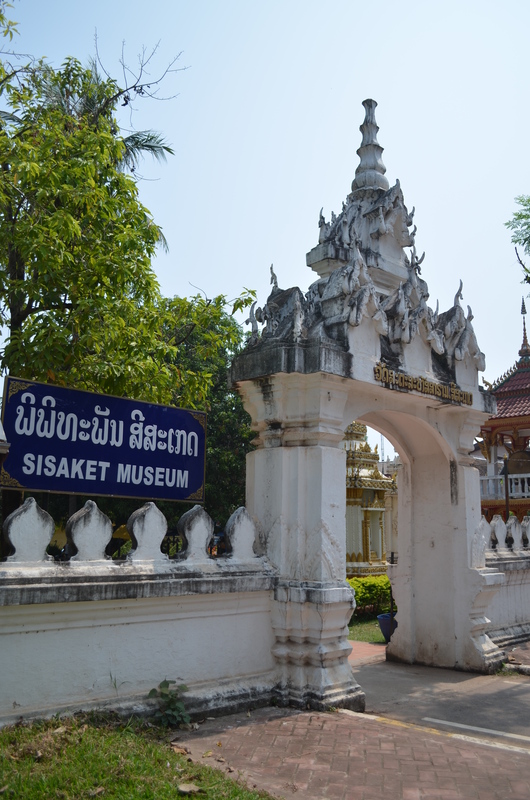 The main temple’s style contrasts sharply with that of Sisaket’s. 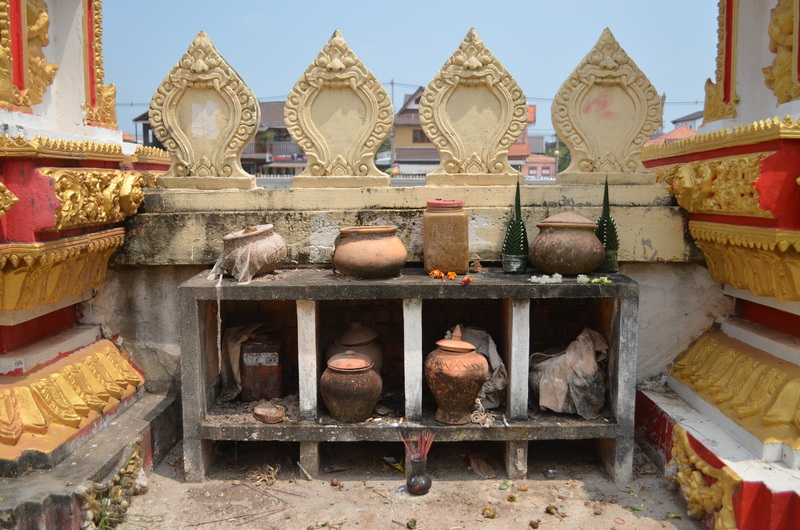 The stupa’s current incarnaton is much more recently built, as the site has been damaged or destroyed many times over the last two centuries during regional and colonial conflict. 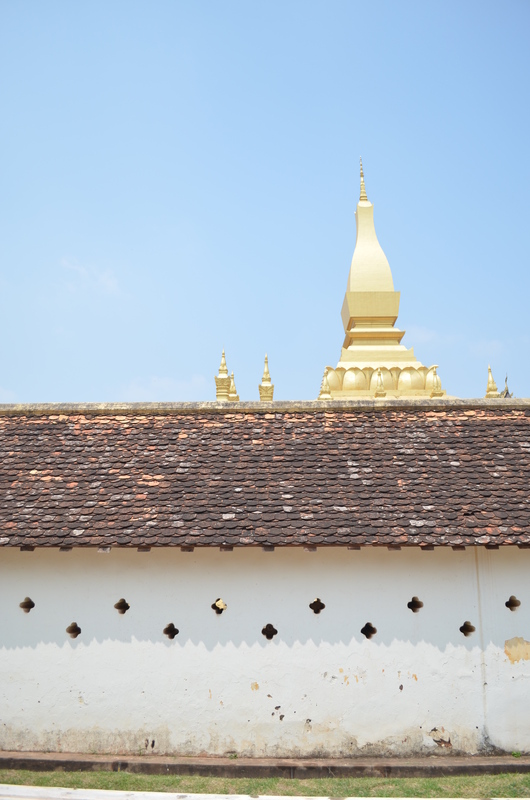 Its golden silhouette dominates the landscape around it – its shimmering pyramidal center rising up into the sky.